Make way for Tata TIGOR! February 9, 2017: The KITE 5 concept car has received a stupendous response for its unique design proposition since it was showcased at Autoexpo 2016. Tata Motors today announced that the Kite 5 concept will be christened as Tata TIGOR. The Tata TIGOR is the next offering of the IMPACT design language and is targeted at young, talented and confident individuals who express their individuality with a unique style of their own. 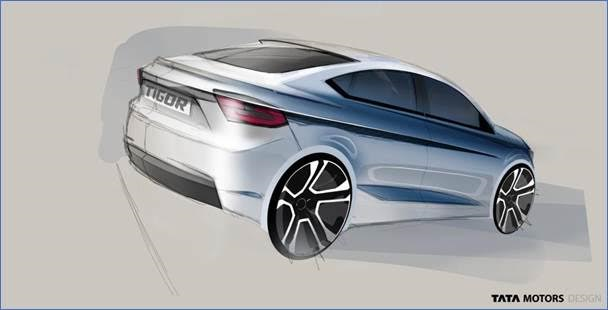 Tata TIGOR will cater to a design and attitude led consumer and will be India’s 1st ‘Styleback’. Announcing the name Tata TIGOR, Mayank Pareek, President, Passenger Vehicle Business Unit, Tata Motors said, “After HEXA, we are speeding towards our next market introduction, the Tata TIGOR which opens a new category of style and attitude in this segment. The break-free design dynamics of Tata TIGOR makes it India’s 1st ‘Styleback’. We will announce its commercial launch soon and are excited to see the IMPACT of the ‘Styleback’ on our customers.